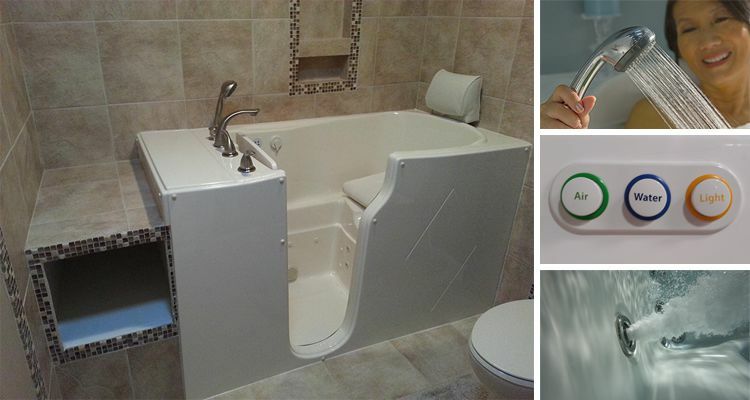 Transform your old bathtub or shower into a safe, easy to access, enjoyable experience again! Age Gracefully with an easy upgrade to your bathroom. 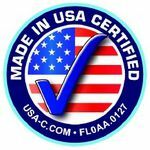 LOWEST & SAFEST step-in entries in the Senior Bathing Industry — our walk-in products are multiple inches lower than our competitors. Hydrotherapy Equipped — Our handicap accessible bathtubs have the Hydrotherapy your Physician recommends… soothing pain relief for Arthritis, Diabetes, Neuropathy, bad backs, knees, hips, feet, and all-around sore muscles! We are 1000’s LESS than the National competition with superior products! No National advertising campaigns to pay for like the others… we keep our profit margins low and in return, pass the savings on to you. LOCAL FAMILY-Owned, and VETERAN-Owned business serving Northern Virginia, D.C., and Central Maryland for over 25 years. We’re the experts in Aging Gracefully! 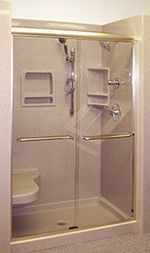 Choice of 4″ (pictured) or 1.5″ high entry, or wheel chair accessible ramp entry, safety grab bars, ADA compliant 17″ high seat, fixed shower head, 6ft length shower wand, storage shelves, foot plate, soap dish, and glass shower doors.